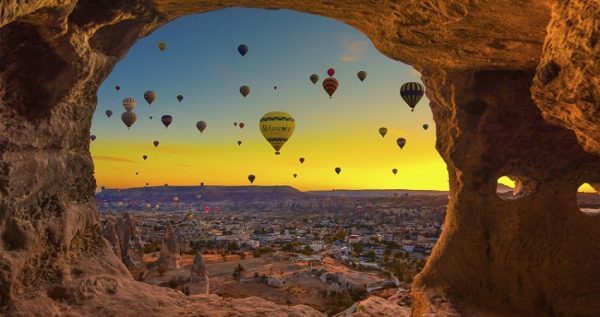 If you are looking for a memorable and exciting addition that will make your holiday unforgettable in Turkey, then Cappadocia Balloon Tour is the perfect option. Our Hot Air Balloon Tour is adventurous, fascinating and unique experience that includes stunning views over Cappadocia. The region is a famous spot for Balloon Rides as it provides the ideal scenery. Enjoy a ride above fairy chimneys, peculiar rock formations, valleys and vineyards and enjoy the spectacular colours of the sky while sun rises. 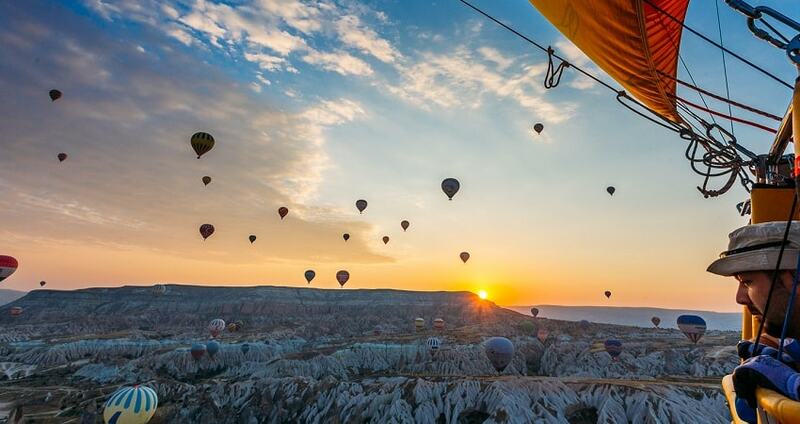 Cappadocia Balloon Tour starts early in the morning before the sunrise. Our team members will pick you up from your hotel at the scheduled time and drive you towards the balloon take off station. Participants of the Cappadocia Hot Air Balloon Ride are instructed to wear comfortable clothes depending on the weather conditions. You might need sunglasses or a hat to protect yourself from the sun. In addition flat shoes are necessary during the ride. Once you arrive there you will get the chance to meet the balloon instructors and guides, as they prepare your experience. It is important to mention that balloon pilots choose the best available flight route depending on the weather and wind conditions. During that time, the balloon filling with hot air procedure takes place. 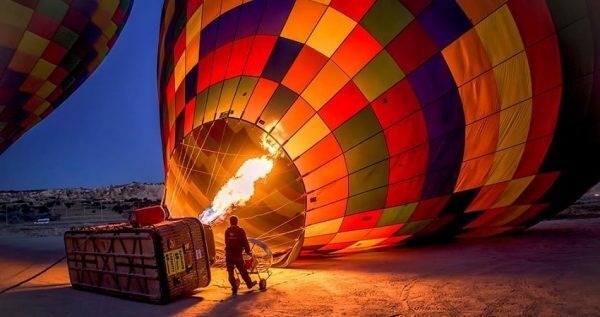 This is a great opportunity to take some photos prior your balloon ride. In addition, instructors will provide a briefing with detailed instructions regarding the balloon ride’s basic rules. The instructors will also inform you and demonstrate the basic safety rules and procedures in an effort to ensure that you enjoy your experience at its maximum. 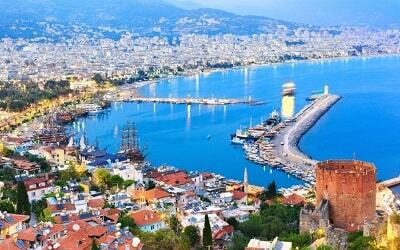 The balloon ride is a completely safe activity and is approved by the Turkish Civil Aviation Authority. All the balloons are meeting the safety standards required by the law and have a capacity of 4 to 28 people. Right after the introductory safety briefing, a light breakfast will be served. The breakfast buffet includes various snacks, coffee or tea. Once you are energized and ready, the real excitement begins! You will get into the spacious balloon’s basket accompanied by the instructors and you will be impressed as the balloon will gradually take off and reach the 1000 feet or 300 meters above the ground level. At that point you will enjoy a spectacular sunrise that creates a magical background with spectacular colours. Just below you, the fairy chimneys and the rock formations will absorb the shades of the sun and create a unique landscape like a dreamy fairy tale. Take a chance to snap some breath taking photos and film unique videos as the sun rises and make sure that you admire and appreciate the natural setting. The hot air balloon descents after the sunrise and reaches a lower altitude. 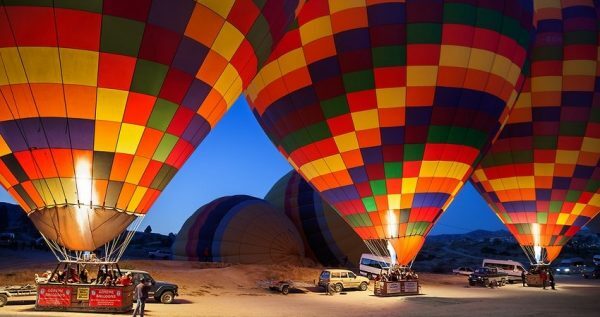 However, the views remain spectacular as the hot air balloon with be passing through fairy chimneys, valleys and caves. The route is ideal to observe Cappadocia’s natural beauty. In addition, you can take several panoramic photos of the fairy chimneys and make your experience truly memorable. 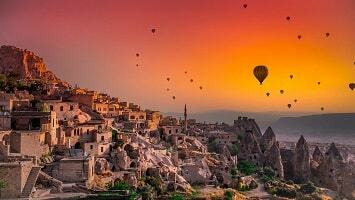 Cappadocia Hot Air Balloon Ride has an approximate duration of 1 hour. By the end of your ride the hot air balloon with start descending again until you reach the ground. By the time you reach the ground and landing procedure is done properly, you will be full of positive emotions from this extraordinary and unique experience. However, the excursion is not yet over. In an effort to enjoy your experience at its maximum a small celebration will be made. In fact, these celebrations are part of the balloon tradition. You should be proud of yourself as you participate in a balloon ride and you enjoyed a spectacular sunrise. Therefore, out team will prepare for you a champagne toast. There is no better way to celebrate your participation in this unique experience. For those who do not wish to drink alcohol or for the participating children, a juice toast will be made. The celebratory ceremony has a second part as well, as the instructors will give you certificates for your achievement. Flight certificates are given to participating guests and serve as a great souvenir from the Cappadocia Balloon Tour. When the celebration is over, a comfortable and modern vehicle will be waiting for you. Our team members will drive you from the Hot Air Balloon station towards your hotel. 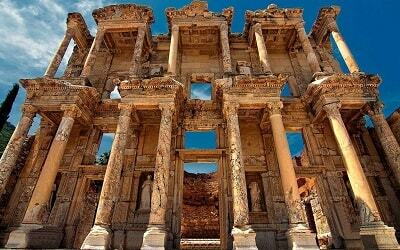 Your arrival at your hotel is scheduled in the morning, just in time for your breakfast, leaving you the rest of the day free for sightseeing or to relax. 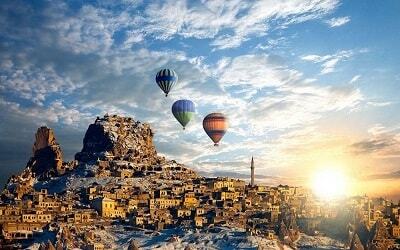 Cappadocia Balloon Tour will have a total duration of two hours. The hot air balloon experience is surely an impressive addition in your holidays. You will be full of emotions and stunning images. Your holidays will be truly memorable and unforgettable as you witnessed a stunning sunrise and a relaxed balloon ride. 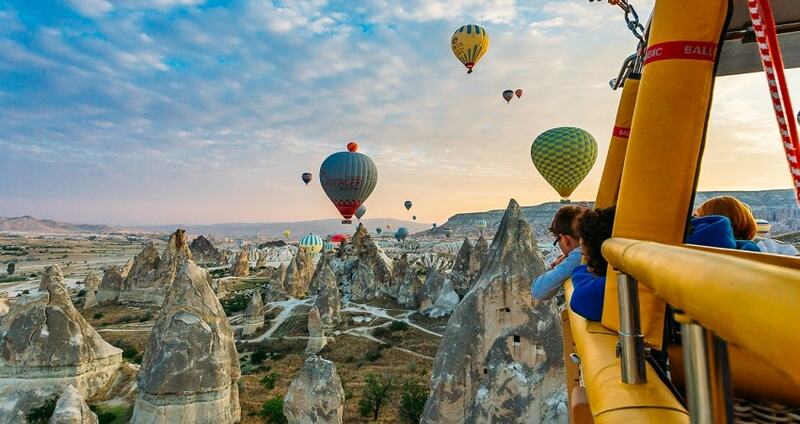 Children under 7 years old are not allowed to participate on Cappadocia Hot Air Balloon. You can create bookings 7 days before the flight. Please contact us for last minute bookings. We might still have some room for Cappadocia Hot Air Balloon Tour. 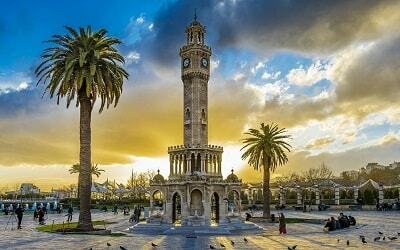 You can read more about all Excursions in Cappadocia from here. 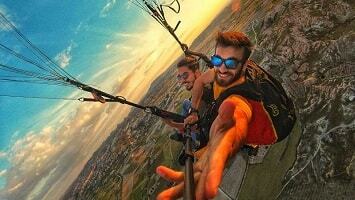 Participate in one of Cappadocia’s most famous outdoor activities and make your dreams come true. 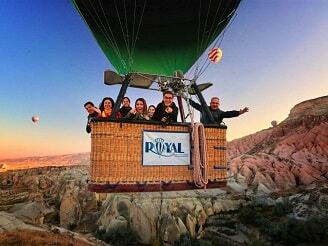 Cappadocia Balloon Tour provides everything you need for a truly memorable and outstanding balloon ride. Watch a unique sunrise from 300m above the ground and ride through fairy chimneys and valleys. 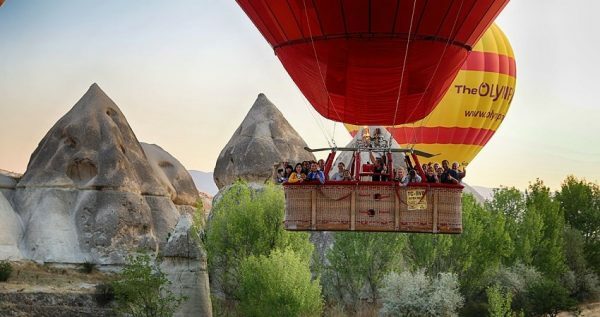 The balloon ride is ideal for those who wish to observe and admire the colors over Cappadocia and for those who seek an alternative experience early in the morning. Make your holidays unforgettable and enjoy a ride different from the others. 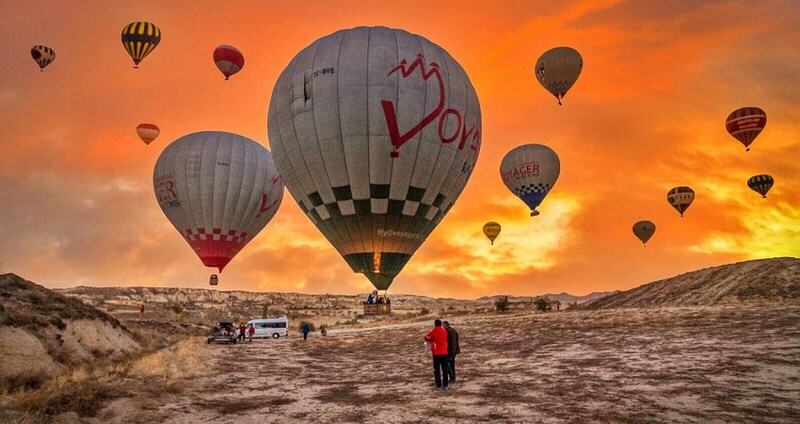 Cappadocia Balloon Tour is scheduled to start early in the morning, ideally before the sunrise. A modern and comfortable vehicle will be waiting to pick you up from your hotel. The driver will drive you towards the location where the balloon’s departure point is. For your comfort and safety you are advised to wear comfortable clothes and flat shoes. In addition, depending on the weather conditions, you might need a hat or sunglasses. During your arrival at the balloon station you will get to know your pilots and instructors. By that time they will prepare the balloon by filling it with hot air. It is an excellent opportunity for you to take some really interesting pictures of the procedure. In accordance, the instructors will discuss and describe to you the basic rules that apply in the balloon ride. Safety procedures will also be explained, so there is nothing to worry about. The balloon is approved by the Turkish Civil Aviation Authority and meets all the safety requirements. 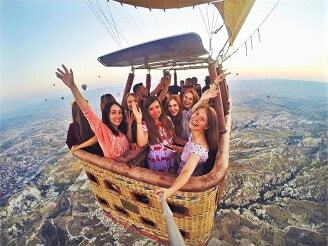 The balloon’s basket has a capacity of 4 to 28 people. By the end of the briefing, pilots and instructors will decide, depending on the weather and wind position, the route that the balloon will follow. A light breakfast will be available to participants before the takeoff. It includes several snack options, traditional tea or coffee. This light breakfast will give you the necessary energy that you need in order to enjoy your unique experience with the hot air balloon. Once you enter into the large balloon’s basket, pilots will start the takeoff procedure. The balloon will gradually reach the maximum altitude of 1000 feet above the ground. Get ready to set your mind free and experience a once in a lifetime experience. At that point you will enjoy a spectacular sunrise that creates a magical background with spectacular colors. Just below you, the fairy chimneys and the rock formations will be reflecting the shades of the sun. This unique landscape that will be full of colors will create a unique landscape like a fairy tale. Take a chance to snap some breath taking photos and film unique videos as the sun rises and make sure that you admire and appreciate the natural setting. After reaching its highest point, which is 1000 feet or 300 meters above the ground, the balloon will start to descent. During that time you will enjoy a magnificent ride through and above fairy chimneys, caves, rock formations and valleys. The panoramic view will impress you as you will have the opportunity to observe Cappadocia’s unique landscape and natural beauty. The ride will have an approximate duration of one hour. Once the one hour ride is over, the balloon will start the landing procedure. By the moment you reach the ground you will be really proud of your participation in such experience. 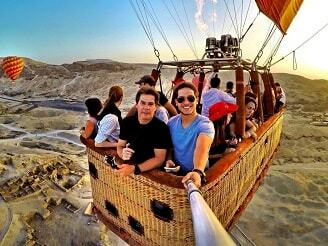 Full with positive emotions and images you will disembark from the balloon’s basket. Right after landing, it is time to celebrate your experience and your achievement. A small celebration follows that is a kind of balloon tradition. Our team members will prepare a small ceremony with champagne toasts for the participants. If you wish, you can enjoy apple juice instead of champagne. 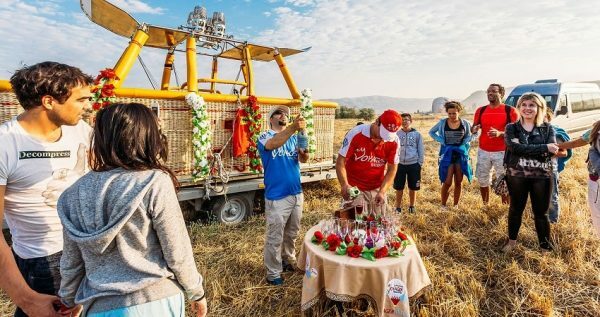 During the ceremony you will receive flight certificates that prove that you participated in the Cappadocia Hot Air Balloon Ride. This flight certificate will be a great souvenir to take back home and it will always be a reminder of this amazing outdoor activity that you enjoyed during your vacations. When the celebration is over, a comfortable and modern vehicle will be waiting for you. Our team members will drive you from the Hot Air Balloon station towards your hotel. Your arrival at your hotel is scheduled during the morning, just in time for your breakfast, leaving you the rest of the day free for sightseeing or to relax. 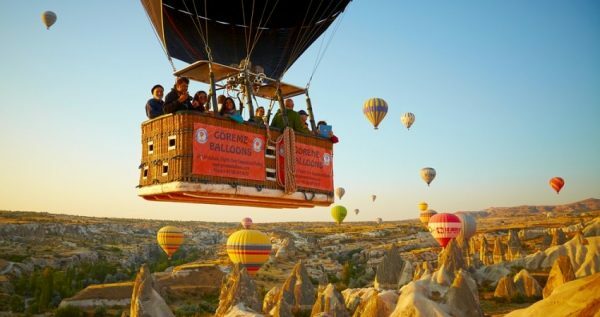 Cappadocia Balloon Tour will have a total duration of two to two and half hours depending your package. The hot air balloon experience is surely an impressive addition in your holidays. You will be full of positive emotions and stunning, colourful images. Your holidays will be truly memorable and unforgettable as you witnessed a stunning sunrise and a relaxed balloon ride.